DORMAN, BARBARA MAE (BOBBI), 83 of Sebring passed away June 30, 2018 she was born February 18, 1935 in Bridgeport, CT. She was preceded in death by her parents Harold and Muriel Dorman. She is survived by nieces, Mary T. (Bill) Ott and Brenda Dorman. 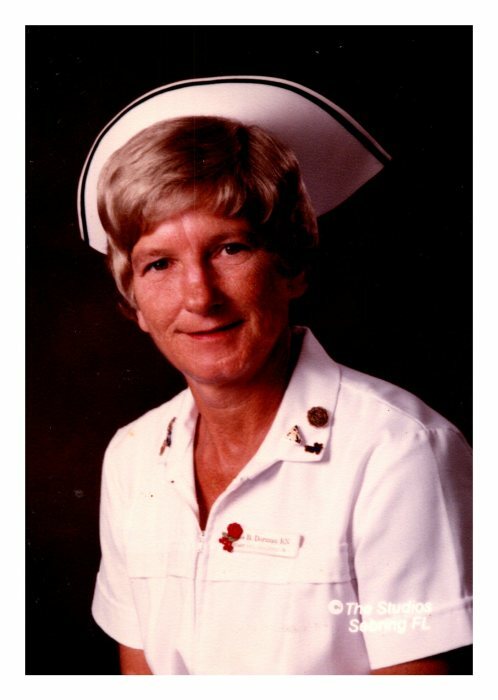 She attended St. Ann's School in Bridgeport, CT; Lauralton Hall Milford, CT and St. Vincent's Hospital School of Nursing Bridgeport, CT and graduated 1955; moving to Sebring, FL 1966; opened the first intensive care unit at Highlands General Hospital in 1967 was head nurse for 14 years; was staff development coordinator; worked in risk management; Quality Assurance and was Infection Control Director and retired in 2000 after serving 34 years at Highlands Regional Medical Center. She played the organ at St. Catherine Catholic Church. For 19 years she served on the board of the Sebring Golf Association and served as secretary of the Council of Catholic Women at St. Catherine Church for 2 years. Viewing will be Thursday 4-6:00 PM at Morris Funeral Chapel with Funeral Mass on Friday 10:00 AM at St. Catherine Catholic Church with burial to follow at Lakeview Memorial Gardens. www.morrisfuneralchapel.com.